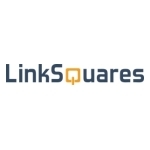 Murphy of Hyperplane is joining the LinkSquares board. Oklahoma-based private equity and VC investment firm. of business operations,” said Vishal Sunak, LinkSquares CEO. customer-centric go to market strategy. by eliminating manual contract review and the need for outside counsel. digital health, industrial automation, and others. cybersecurity, data analytics, digital health and enterprise software. US$50M Singapore based fund investing across Southeast Asia.